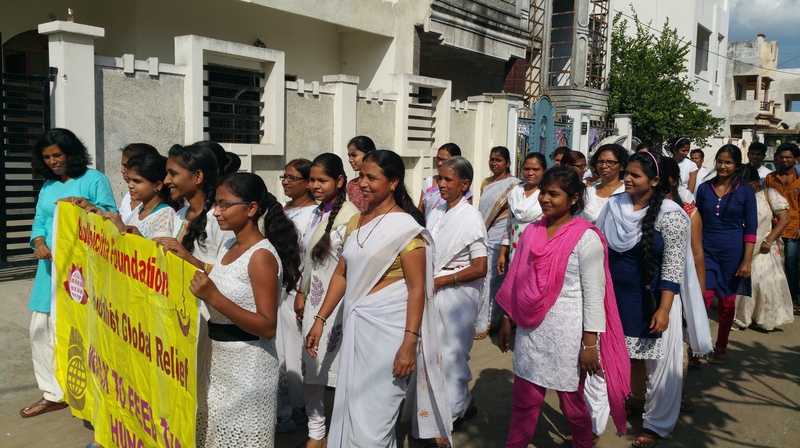 On Saturday, October 21, the Bodhicitta Foundation and members of our girls’ home walked in solidarity with our wonderful partners, Buddhist Global Relief, and all the wonderful people who contribute to our work of lifting women and children out of poverty. Many of the girls in our girls’ home have come from villages where they had to walk for many kilometres, missing school to carry water, take care of livestock, and watch over siblings. Now the girls walk to end poverty, they walk for girls’ empowerment, they ride to school, to a new life. Often as we move through life, we don’t know where we are going, in what direction we are moving. The annual Walk to Feed the Hungry offers us a chance to reflect where we are going, how we are manifesting the truth of our sacred bond and inter-connectedness with the earth and all beings. 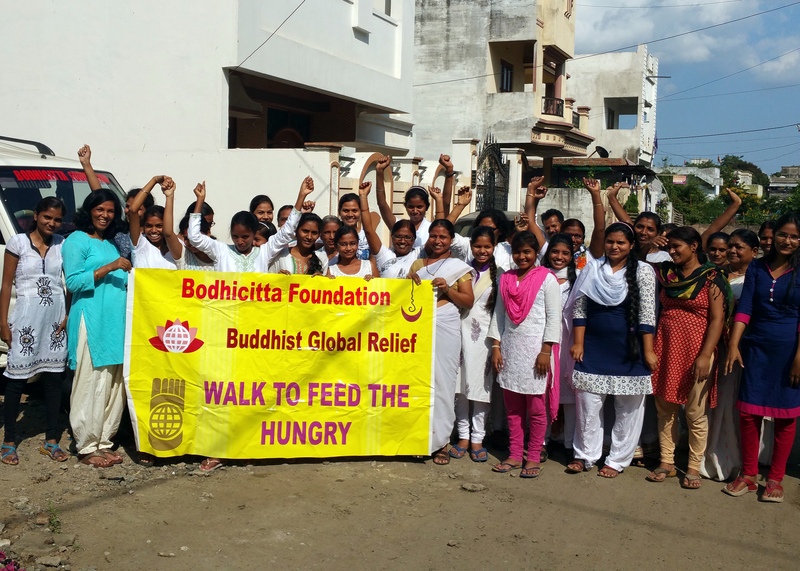 For us at Bodhicitta Foundation, the support of the wonderful people at BGR means we can walk in the direction of hope and dignity, of empowerment, equality, love, compassion, and human rights. We thank you for walking this journey with us for so many years now! Bonded as I am with each of the hundreds of children and women we help, I can really see the hope and gratitude in their eyes, for your gift is the gift of life. These children shine like stars on earth, as they can now reach for their dreams because of you. Ven. Ayya Yeshe, an Australian bhikkhuni (Buddhist nun), is the founder and spiritual leader of the Bodhicitta Foundation. This entry was posted in Engaged Buddhism, Global Hunger, Projects & programs, Walk to feed the hungry and tagged Bodhicitta Foundation, Engaged Buddhism, Girls' Education, India, Walk to Feed the Hungry. Bookmark the permalink.